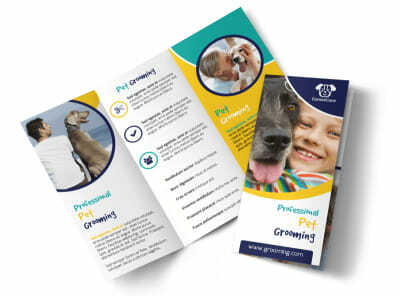 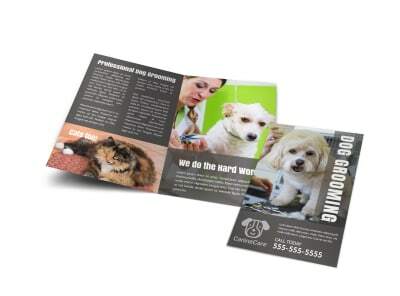 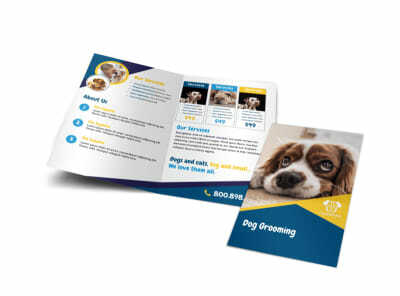 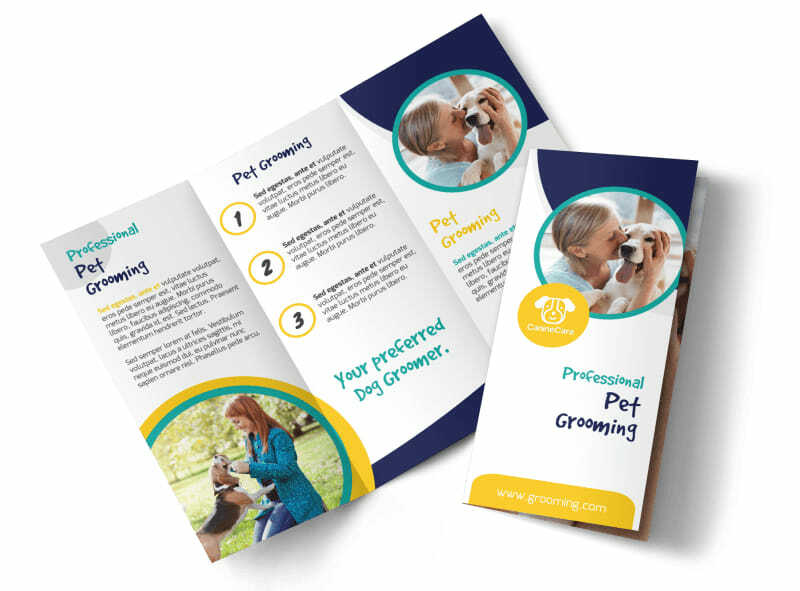 Customize our Clean Dog Grooming Tri-Fold Brochure Template and more! 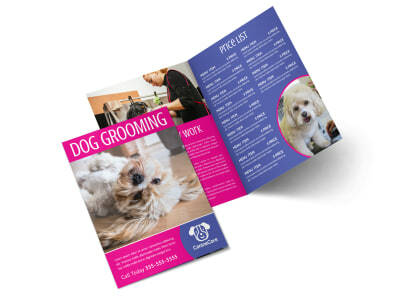 When dogs need a washing, let parents know who to call with this trifold brochure running down your grooming services and prices. 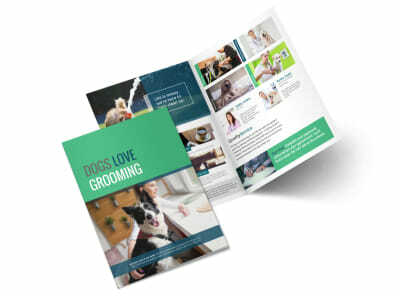 Include lots of pooch-related pictures and persuasive text to inform potential clients that you’re the best at what you do; select a preferred color theme and other design elements to tie it all together in a professional package.